When it comes to septic tanks and systems, it’s pretty much never a DIY situation. A malfunctioning septic system can contaminate Camp Hill drinking water supplies and cause flooding, as well as create sewage backup and biohazardous situations. If you need a septic system installed, pumped or repaired, hiring a certified Camp Hill, PA septic professional is a no-brainer. 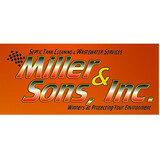 Family owned and operated for four generations, we serve northern Harford county and southern York county with pride and integrity. We are members of PSMA, PASEO, Better Business, York County Chamber of Commerce, Mason Dixon Business Association and the Delta Cardiff Whiteford Business Organization. Mike and Susan are certified inspectors with the state of Maryland and nationally known Pennsylvania Septage Management Association. Susan is a Sewage Enforcement Officier licensed and certified thru the Pennsylvania Department of the Environment. Mike is a licensed manure broker with the Pennsylvania Department of Agriculture. Susan is Vice President of the Pennsylvania Septage Management Association. She is also chairman of the Biosolids committee. In 2007, two former US Army veterans, recognized the need for improving the quality of services available to the pubic in the area of wastewater treatment and hauling. Armed with the knowledge ans experience of providing great customer service, they set out to form a strong brand that stood for loyalty and integrity. In 2008, Oaktree Septic Services, Inc. was formed and began acquiring and consolidating small, family-run septic companies with the goal of providing great, consistent service at at a fair price. Oaktree Septic Services is a full-service provider of septic systems including tank cleaning, real estate inspections, township inspections, repairs and installation. 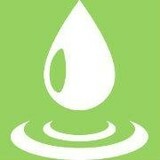 Enviro-Clean Septic Service, LLC offers quality service at affordable prices. We pride ourselves on prompt, courteous, efficient and reliable service. Our knowledgeable staff will be happy to answer any questions you may have about your septic system. Remember a septic system that is serviced on a regular basis is less likely to fail you. 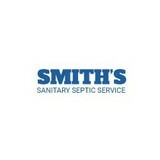 Our company can take care of all your septic needs. From maintenance to repair to complete replacement, Fins Environmental Service, LLC can do it all! DILLSBURG EXCAVATING & SEPTIC INC.